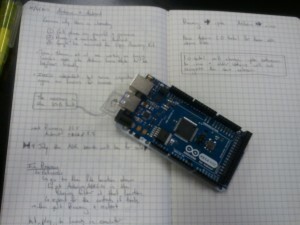 This entry was posted in ITP Camp 2011 and tagged android, arduino, processing. Bookmark the permalink. I don’t know the exact number, but it certainly will be cheaper than the Google ADK. We were told it would be in the price range of the Arduinos and shields that are already available.